So here is the deal. These devices make very little pollution, and can be a way to reduce our use of foreign oil. They work on clean domestic sources of fuel like natural gas; have high efficiency, and can provide electrical power to almost anything from vehicles to buildings. 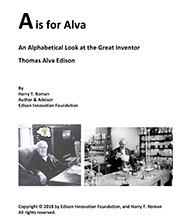 Know what it is? It is fuel cells, a technology that has been known since the 1840s, and achieved notoriety in the space program and lunar missions. 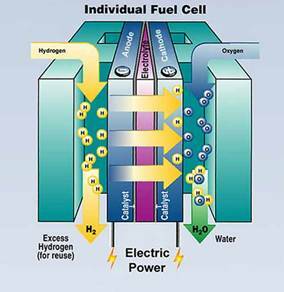 A fuel cell is a device that produces electricity through a chemical reaction. A source fuel and an oxidant are the two reactants, but the source fuel must contain hydrogen in some form, either, pure hydrogen or simple hydrocarbons like methane (natural gas), propane or methanol. 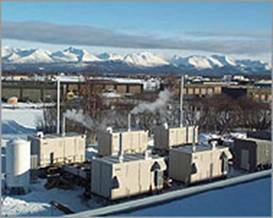 Usually, fuel cells are run on methane and oxygen from the air to produce electricity, heat, and byproducts like water vapor and very small amounts of nitrous oxide. 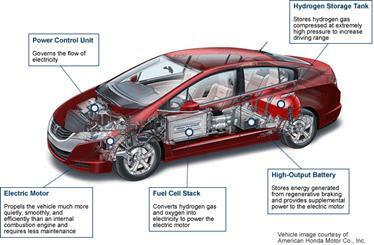 Fuel cells are technological cousins to batteries…..deriving electric power from complex chemical activity known as oxidation-reduction reactions. Unlike a battery, a fuel cell’s chemical reactants are external, and as long as these reactants are supplied, the fuel cell generates electricity. You could say a fuel cell is re-fueled, rather than a battery which is re-charged. Fuel cells have been used to power homes and commercial applications in sizes generally ranging from about 5 kW to 250 kW. Larger applications in the 1 to 10 MW size range have also been installed. Currently, high costs and long-term lifetimes of these devices keep them from seeing widespread application, but their potential is huge as R&D continues aggressively on these potentially game-changing devices. This is an alternate energy technology with the capability to work 24/7/365. Recent huge finds of natural gas locked in reachable shale rock formations could make this an ideal way to capitalize on this cheap, abundant, clean and domestic new fuel resource. Imagine this. Many homes have a natural gas pipe already entering their home. This pipe could supply a fuel cell that provides electricity and heat to the home; and of course air conditioning. Since the pipes come in via underground, there is very little chance that weather is going to knock out the electric supply to the home as often happens. How about a fuel cell powered car? 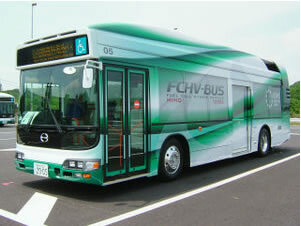 Fuel cell powered buses are already performing useful service. 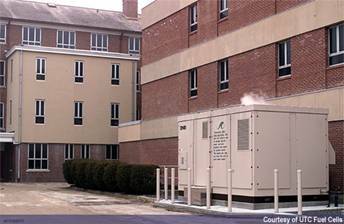 Fuel cells can be made quite small as well, to provide power to computers and other sensitive electronic devices. 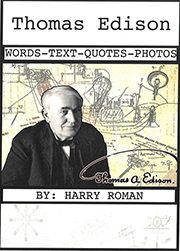 Thomas Edison performed early work in trying to convert coal directly into electricity. 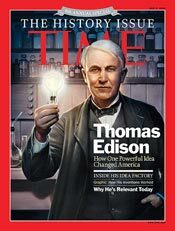 Although he received several patents on this fuel-cell-like technology, practical application eluded him. 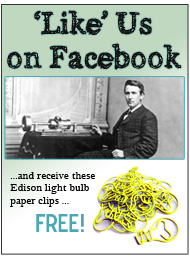 This entry was posted in Inventions Edison Would Love and tagged Fuel Cells, Fuel Cells with a Thomas Edison Connection on April 30, 2013 by Edison Innovation Foundation. it was still wortth it! an ideal approach of writing? I have a presentation subsequent week, and I’m on the look for such info.